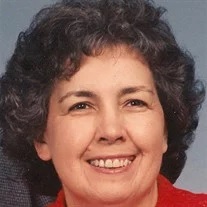 Clara Wright-Mitchem, 80, of Chattanooga, went to be with the Lord Thursday, March 21, 2019. She is preceded in death by parents, Maynard and Rosa Lee Wright and brother, Newell Wright. She is survived by husband, Danny S. Mitchem and Betty (Gene) McMahan; nephews, Michael Sr. (Gayla) Wright and Greg (Tracy) Wright; great-nephews and nieces, Chelsey, Michael II, Heather, Kayla, Cole and Caroline Wright; great-great-nephews and niece, Josh Taylor, Kaiden, Michael V., Hunter, Lucas and Gracie Wright; and special cousin, Judy Brown. The family will receive friends and family at Ewton’s Funeral Home in Dunlap on Friday, March 22, from 3-7 p.m. CST. Funeral Services will be held in the Funeral Home Chapel on Saturday at noon CST. Burial will follow in Sequatchie Co. Memorial Gardens. The family is asking for contributions to the Alzheimer’s Association in lieu of flowers.